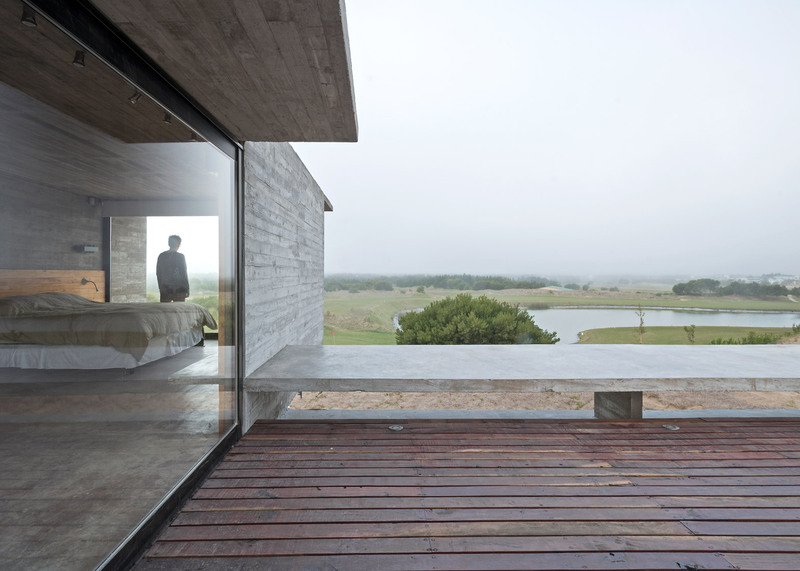 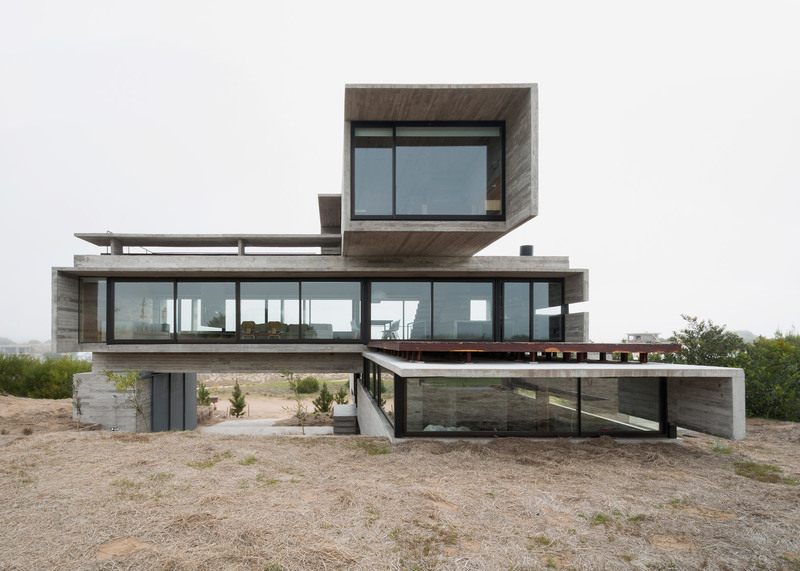 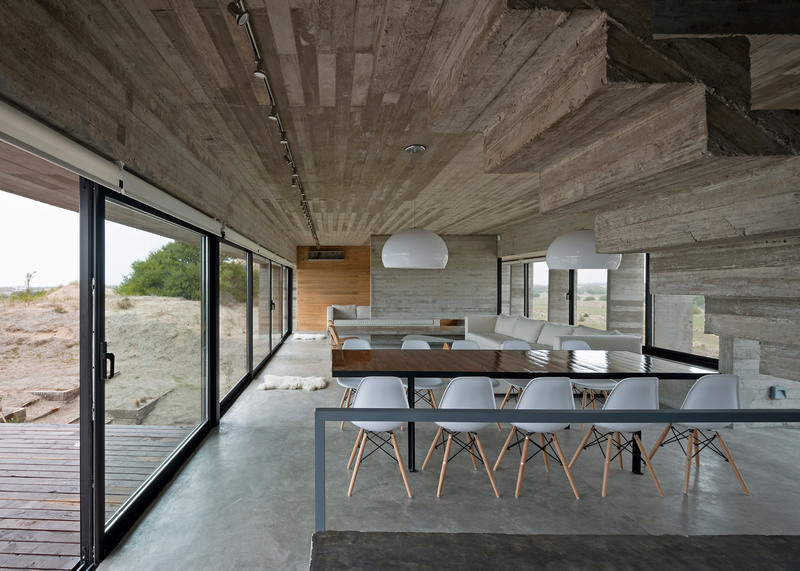 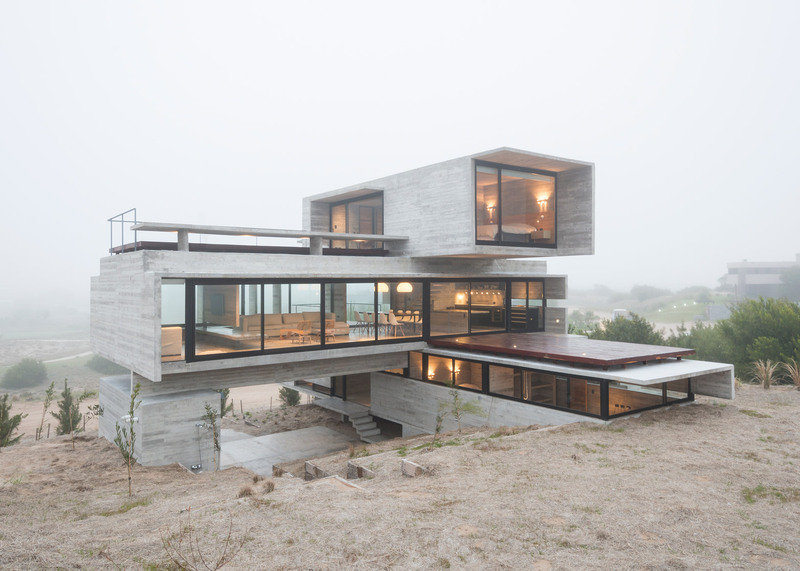 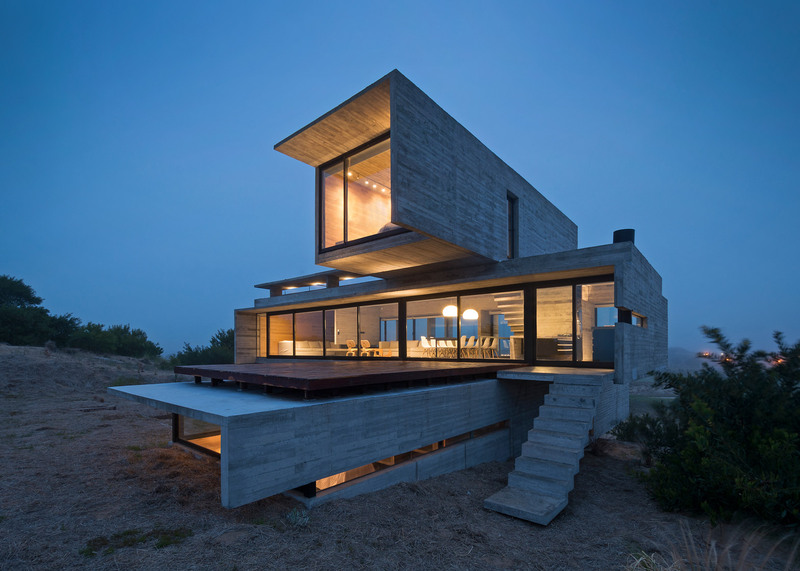 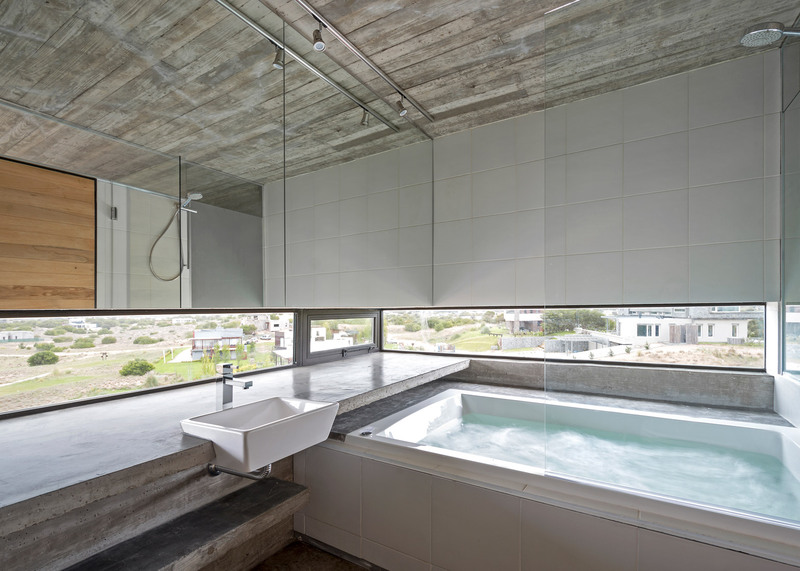 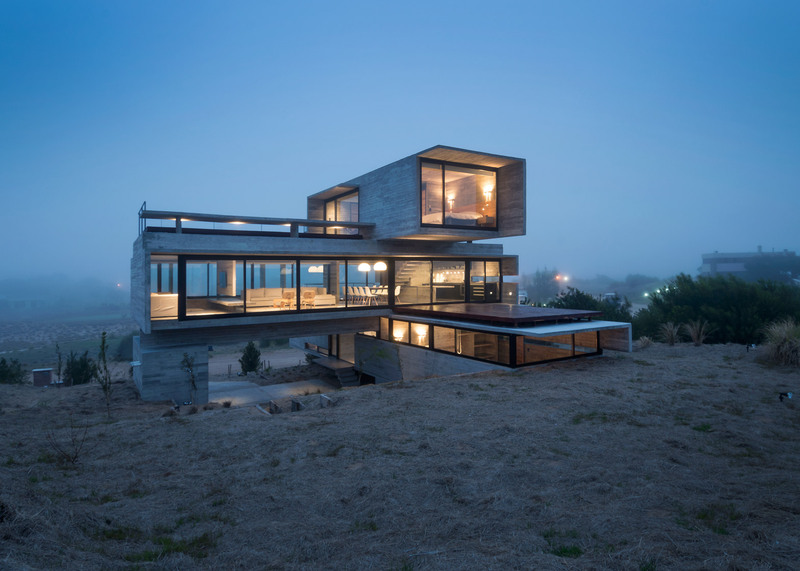 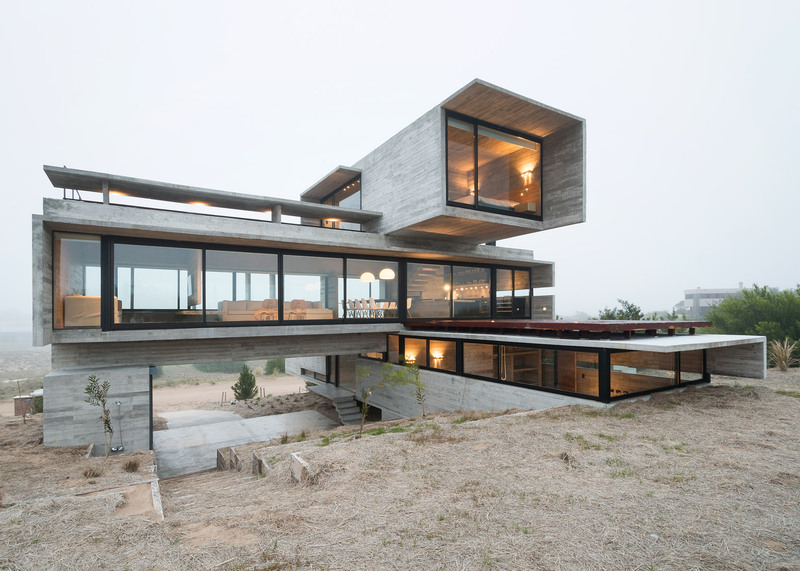 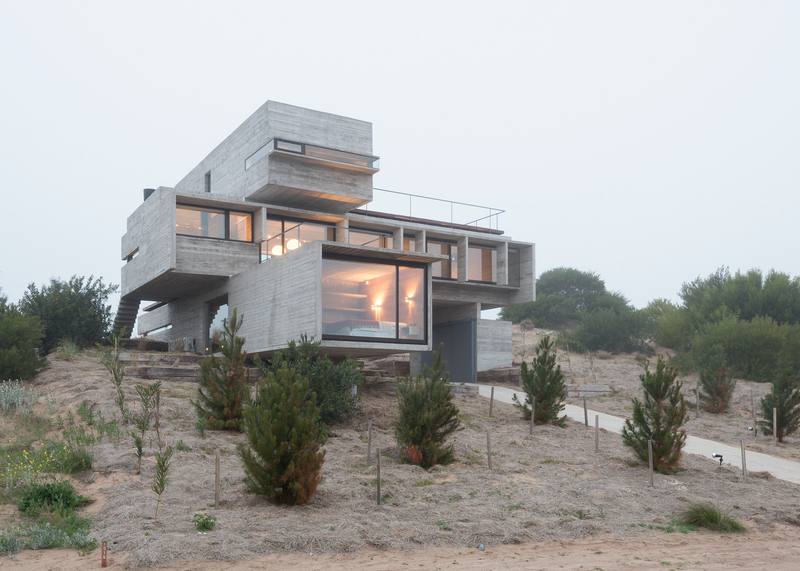 A trio of board-marked concrete volumes are stacked to create this holiday home by Luciano Kruk, which stands in the dunes of a golf course on the Argentinian coastline (+ slideshow). 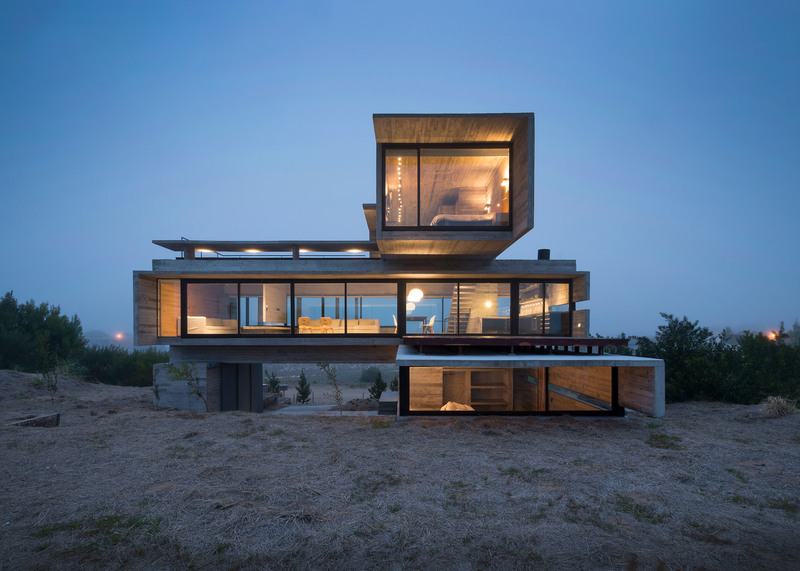 The Argentinian architect was asked to create Casa Golf as a year-round holiday home in Costa Esmeralda, a neighbourhood near the seaside resort of Pinamar. 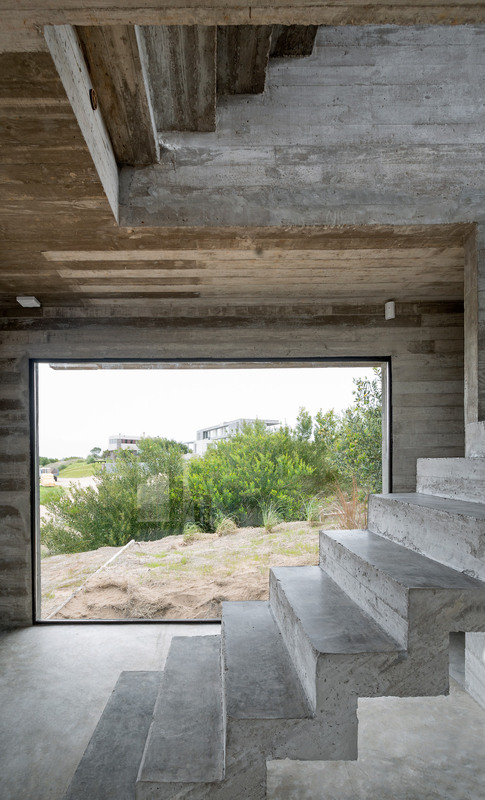 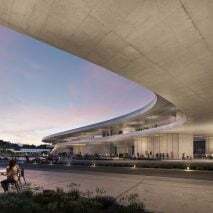 The 270-square-metre building comprises three reinforced concrete blocks, which have large windows to exploit views of the coast and golf course. 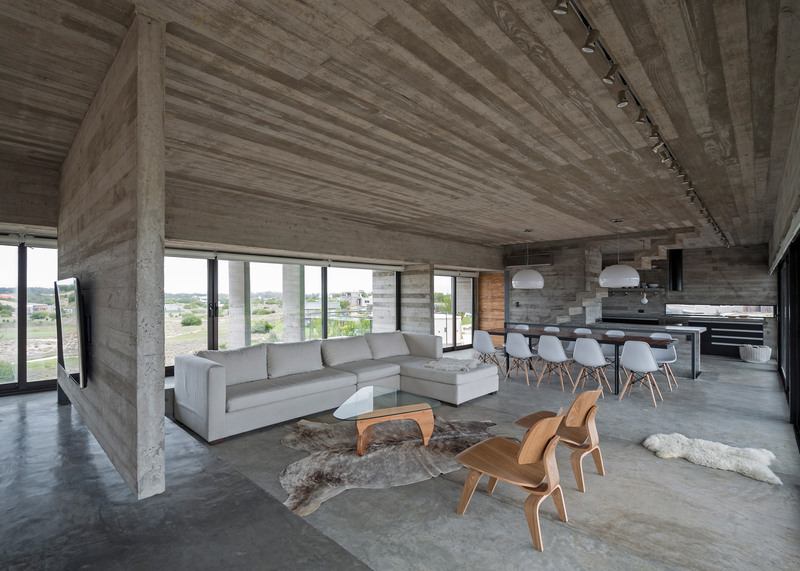 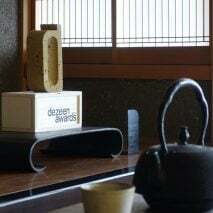 Each of the blocks contains a different element of the house – guest suites in the base, a living room in the middle and the master bedroom in the uppermost volume. 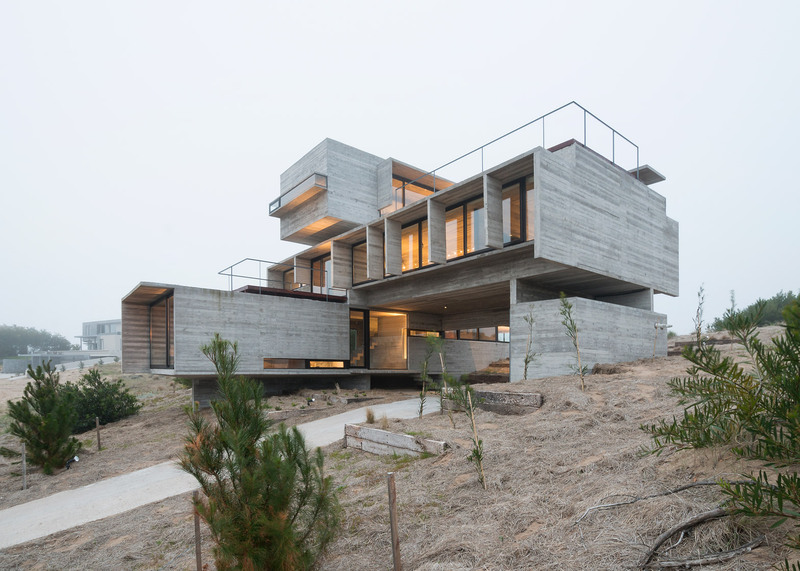 "We proposed a house entirely materialised in exposed concrete, whose noble aesthetic expression allows a respectful dialogue with its surroundings," explained Kruk, who has also completed another holiday home in the area made up of intersecting concrete volumes. 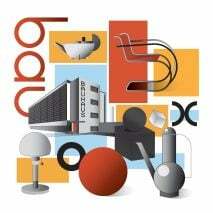 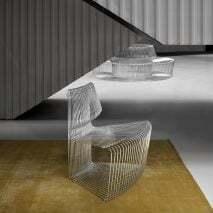 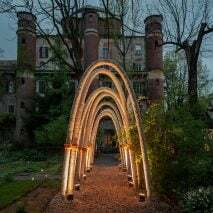 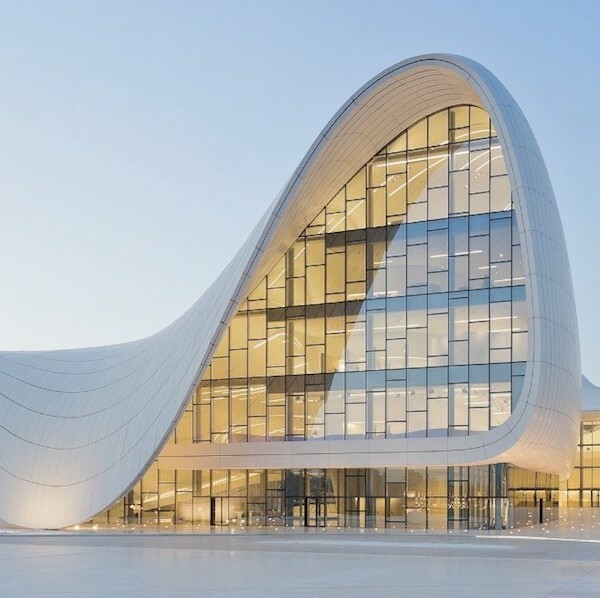 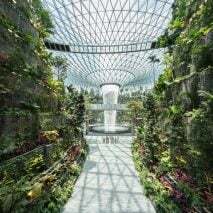 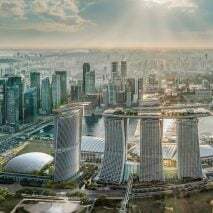 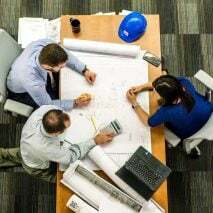 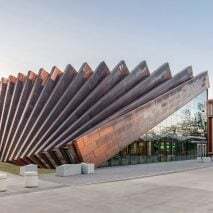 "The architectural strategy aimed at organising the different functional requirements, distinctly grouped in three pure volumes oriented independently of one another and set at different levels." 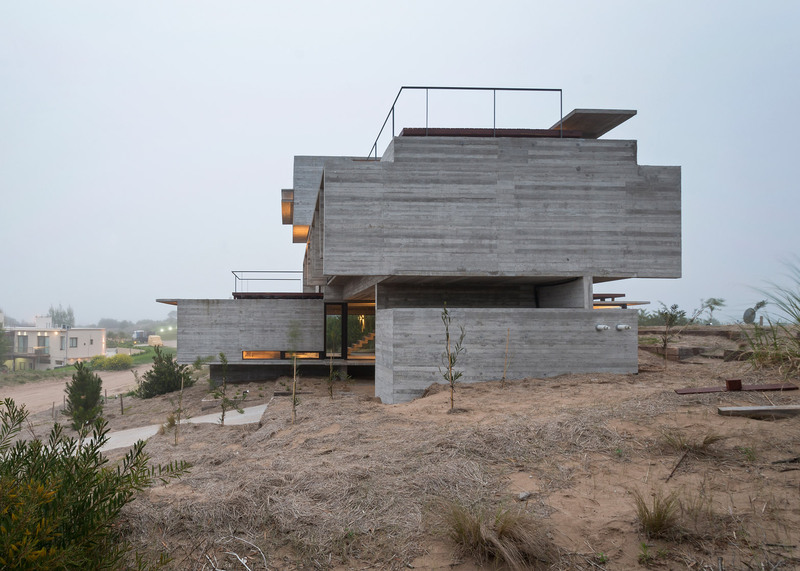 The base block is half-buried in a dune, helping to lessen the visible scale of the house from the surroundings. 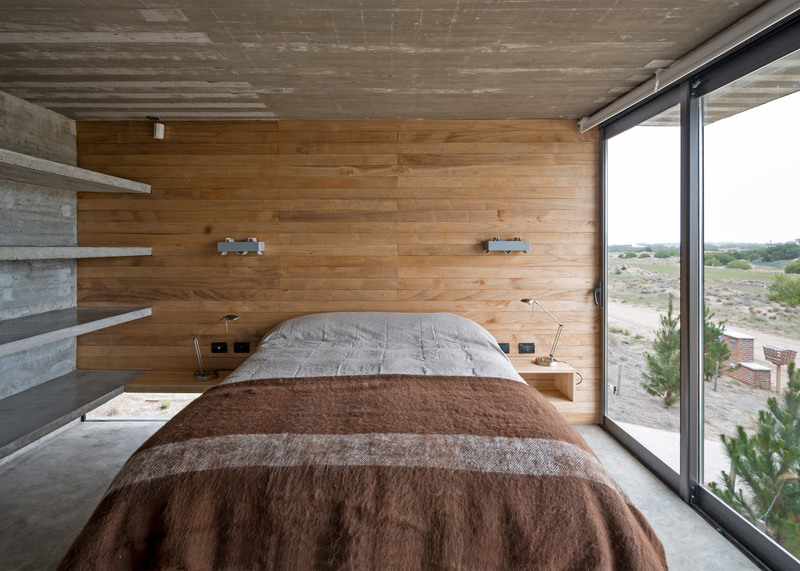 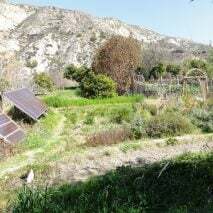 Its sunken position means some bedroom windows are aligned with the ground, while others are partially concealed from an adjacent road by a group of maritime pine trees. 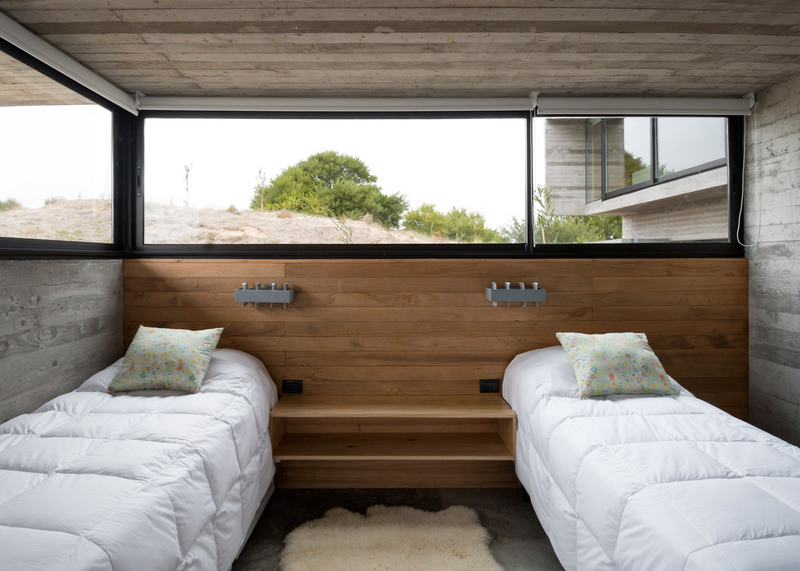 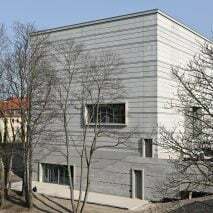 The living room is perpendicular to this first block, resting one end on the roof of the bedrooms and the other raised on a concrete box used as a storage unit. 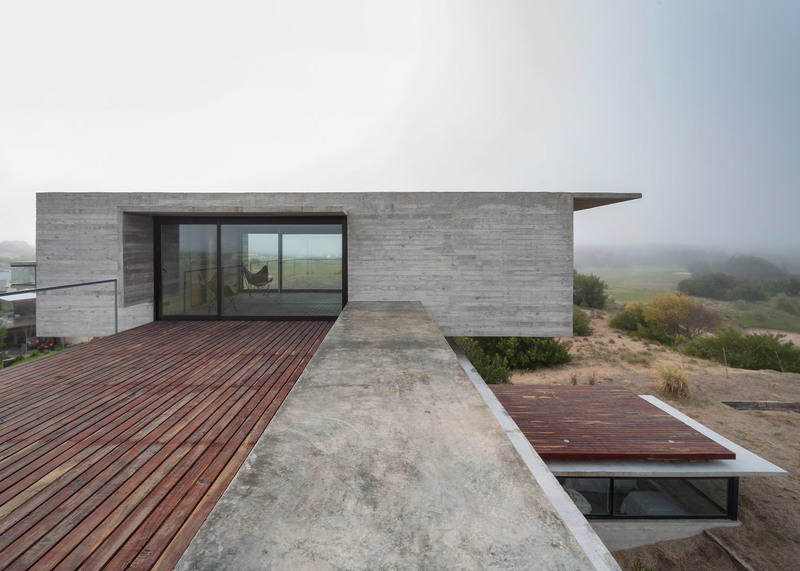 Wooden terraces extend from the front and back of the volume, behind large expanses of glazing. 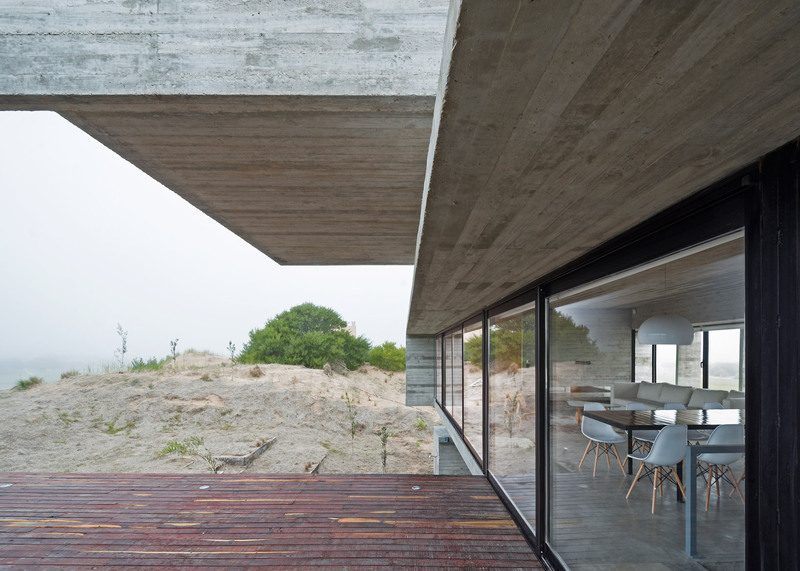 The front-facing terrace is smaller and exposed to views of the road, while the one to the rear is sheltered beneath the overhanging master bedroom. 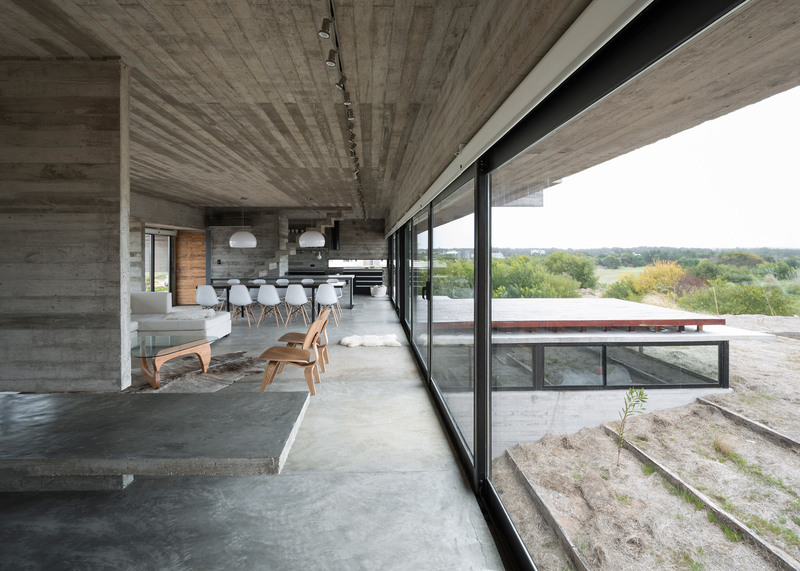 These quebracho wood terraces are raised slightly above the surface of the concrete roof of the bedroom block to help shade the rooms below. 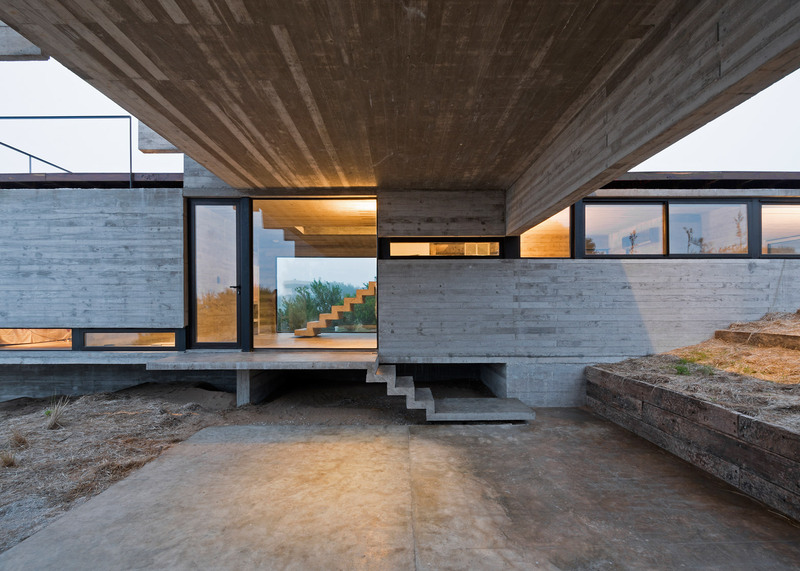 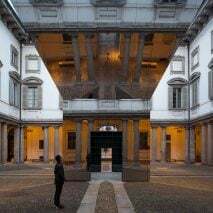 "The volume housing the social areas is the most visually permeable one, not just due to the transparency of its skin, but also due to its being parallel to the street – contrary to the other two that were set perpendicularly," explained Kruk. 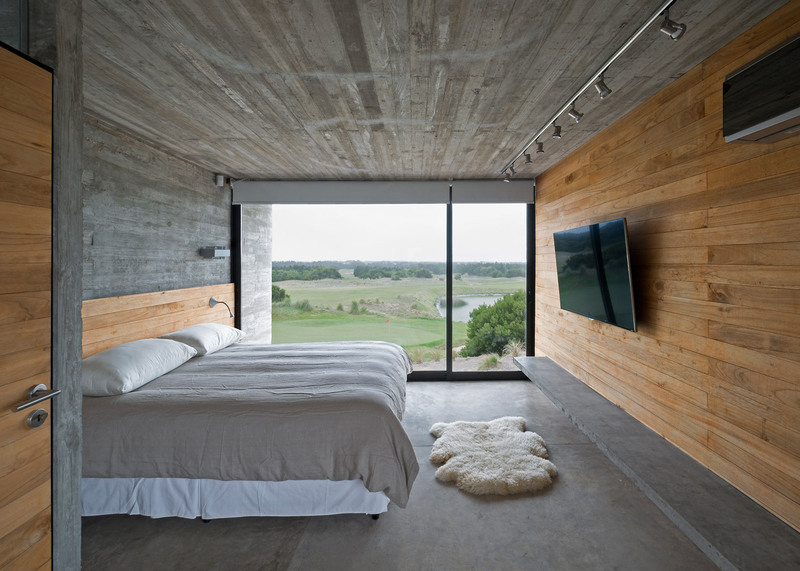 The uppermost volume containing the master suite has its own private terrace and is designed as a "tranquil shelter" from the guest suites and living room below. 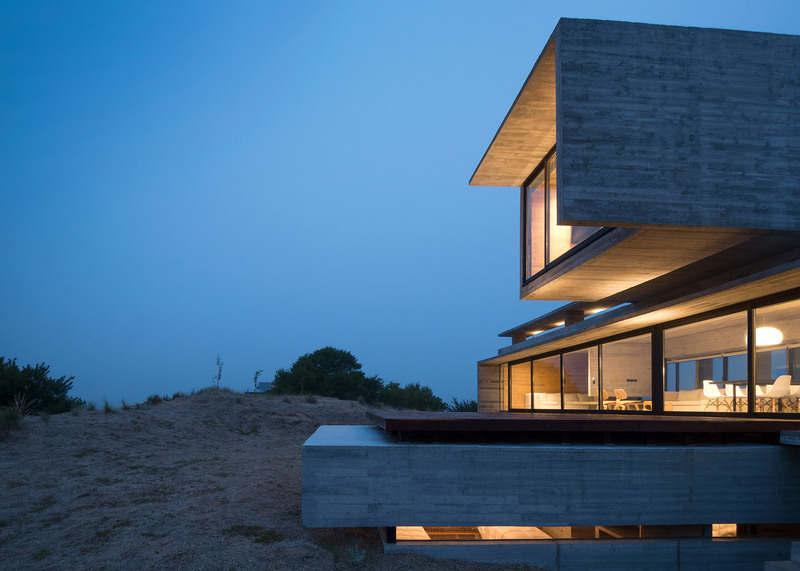 "Adequately independent from the rest, the third volume, like a cannon, captures views of the distant sea horizon," said the architect. 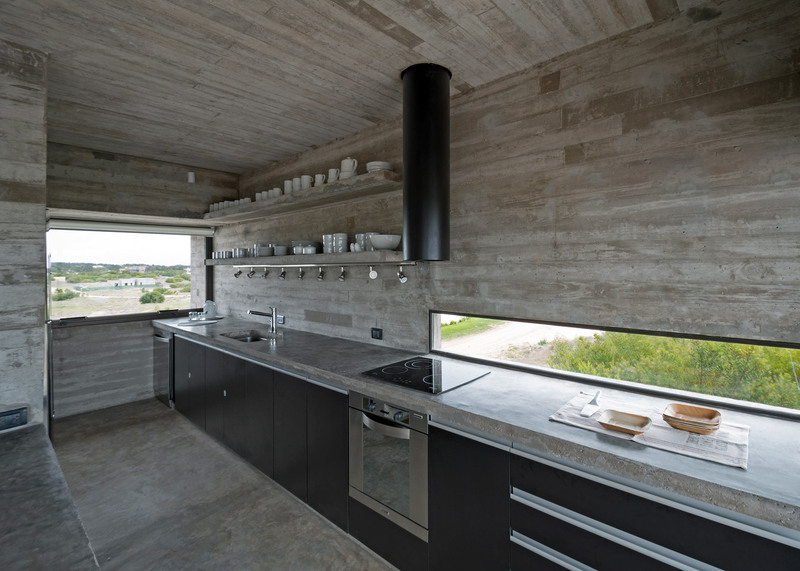 Concrete fins project from the facade to provide shade from the sun, while inside south-facing walls are lined with insulating paulownia wood. 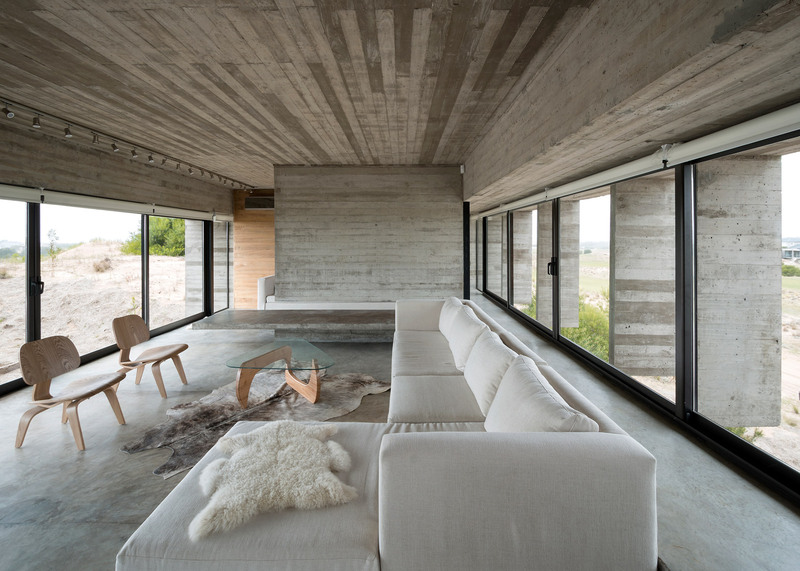 Coupled with air conditioning units and underfloor heating, these features give the house a comfortable indoor temperature all year round.